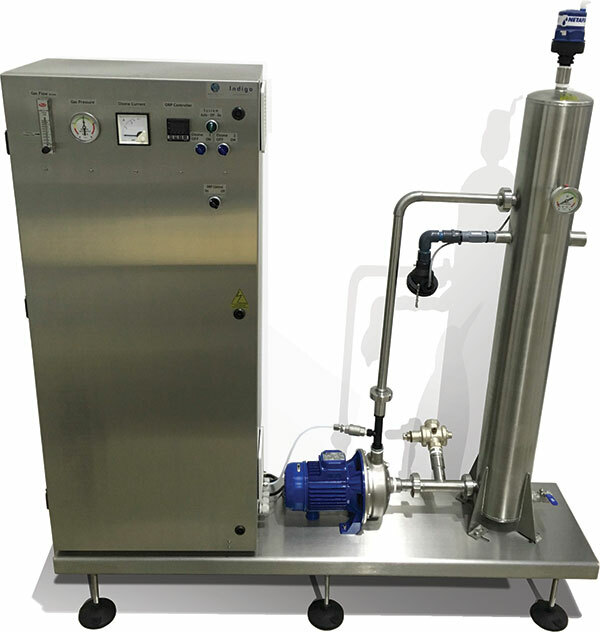 The Indigo Ozone System, ideal for smaller bottling plants, is a basic self-contained on/off system, with a built-in oxygen generator which can produce up to 40grams/hour of ozone. It has been designed for continuous running when used in commercial applications and has minimal maintenance requirements. The Indigo is able to treat up to 5 thousand litres of drinking water per hour. The Indigo Ozone System, is a basic self-contained on/off system, with a built-in oxygen generator which can produce up to 40grams/hour of ozone. It has been designed for continuous running when used in commercial applications and has minimal maintenance requirements. The Indigo is able to treat up to 5 thousand litres of drinking water per hour. 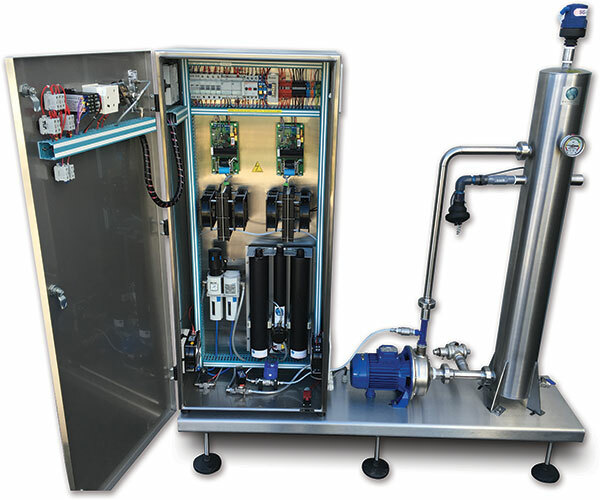 The Indigo Ozone System is available either as a stand alone unit or with an ozone mixing contactor, mounted on a skid. The system requires only Electricity and compressed air in order to operate. Indigo features a built-in oxygen concentrator and can be supplied with an optional oil-less compressor, allowing the unit to produce ozone at high concentrations where a compressed air supply is not available. The Indigo Ozone System is available in 2 options: The 20G which has an ozone output of 20g/hr and the 40G with an ozone output of 40g/hr. Internal view of Indigo Ozone Generator. Ozone is a very powerful disinfectant. At a dosage of 2mg/litre the Indigo can treat up to 10,000 litres/hour of water. Ozone when sufficiently dosed is highly effective as a surface sanitiser. Wooden barrels can be filled with ozonated water to disinfect and remove volatile acidity causing bacteria. Steel tanks can be sprayed. Increasingly automated car washes are making use of re-cycling systems in order to save water. Ozone is used in these systems to prevent unpleasant odours developing in the water, as well as to reduce foaming. Ozone is suitable as a disinfectant for irrigation water. It will oxidise organisms which cause root damage as well as increasing oxygen levels in the water.